Vintage lovers know that often material items get better with age. Like wine, items gain fullness, character, and rich depths that simply aren’t there in newly minted items, hot off of the factory presses. 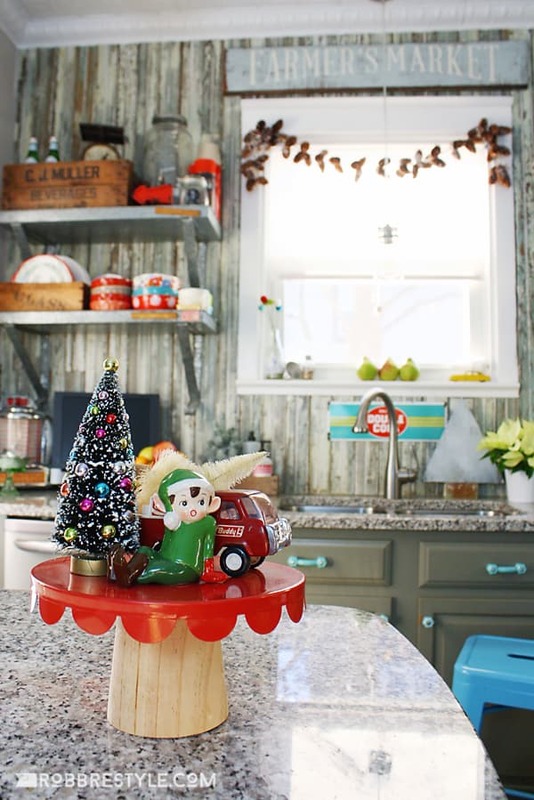 When it comes to holiday decor, a true vintage lover won’t haunt the aisles of Target. We are much more likely to think about using hand-me-downs with worn edges, a life-time’s-worth of stories, and some chipped paint here and there. 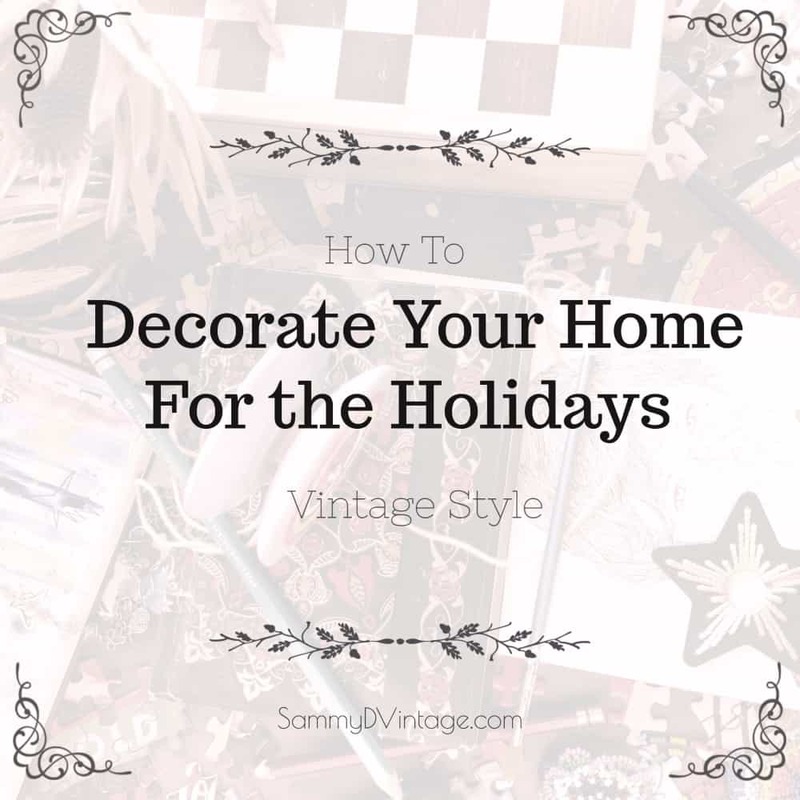 Here’s your guide to holiday decorating — vintage style. A great way to start your decorating journey is to get inspired by visiting the shops in your area. 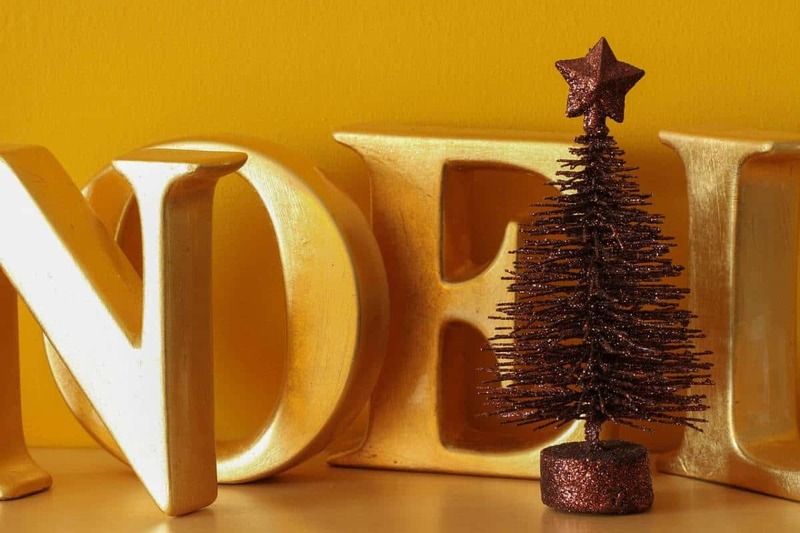 You never know what you will find, and one or two pieces can spark an idea for an entire holiday theme! 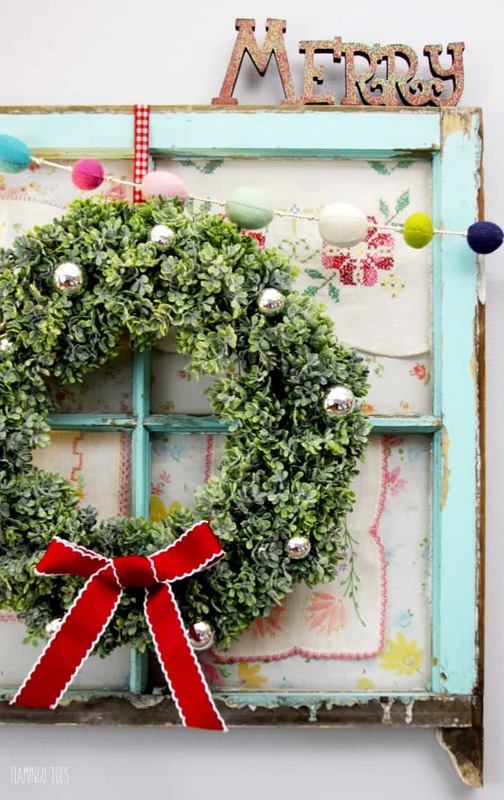 Be open as you browse, because holiday decor may not look like it has a holiday theme at first. It’s up to you to make it come alive. 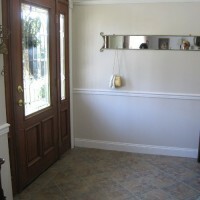 Take the ornate golden mirror in the picture above. Without the details, the mirror is just a mirror! But with a few crafty touches here and there it becomes a golden centerpiece on a holiday themed mantle. When you shop for vintage items, keep your eyes out for large and small items alike. Some of the best decorating ideas come from combining the two! You might prop a (large) wooden sled in the corner of the porch, and decorate it with garlands, lights, and lettering. Or, as creative Bev from Flamingo Toes has done in the photo above, pair a recycled window with a beautiful wreath and holiday-inspired wooden letters. One of the principles of good interior design is that every room has a focal point. There has to be one place where the guests’ eyes land first. That point is like the centerpiece of a table. It should be beautiful to look at, and it can set the tone for the entire room. If the space you are decorating already has a natural focal point, play it up! This will give the whole room instant holiday warmth. For example, say you have a prominent fire-place. Decorate it with vintage holiday decor like up-cycled statues, beautiful sprigs of berry-studded holly, and a tall white candle or two. We’re all artists, even though some of us have forgotten it. I heard a story once about a man who asked a classroom of kindergartners how many artists were in the room. Almost all of the kids rose their hands. The man asked the same question to a room of older kids, and only few hands emerged. What does your little kindergartner artists want to create? String together popcorn and cranberries, playful colorful beads and gum-drops, or paper-cut-out angels. Make a Joy To The World painting, or a collage of old cards. Get messy, and create! 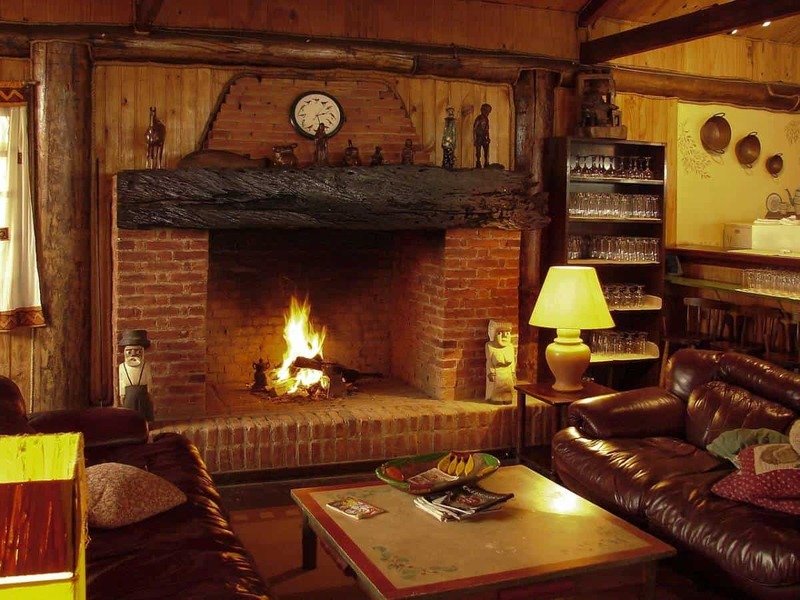 Do you have really warm and fuzzy memories of your grandparent’s house around the holiday season? What did they do, that you loved so much? I remember my grandparents would hang up every Christmas card that they received, until they were draping from every corner of the kitchen and dining room. My husband remembers that his grandmother used to put a mirror, cotton “snow” and little skating figurines under the tree. What about you? 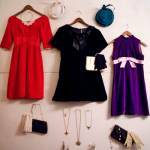 Are you into ’60s mod fashion, or the Victorian look? Pick an era and stick to it through out the whole house for a unified look. Once you chose your era, based on your preferences or a few key pieces that spark an idea, you’ll have more direction when you go out shopping. You might want to do a thrifting session once you have your decade in mind, because all new things will pop out at you as you browse. Try it, and I’m sure you will be surprised at what you can find! Get inspired by listening to old music, watching an old movie, browsing through vintage photographs, and cooking up some vintage recipes. 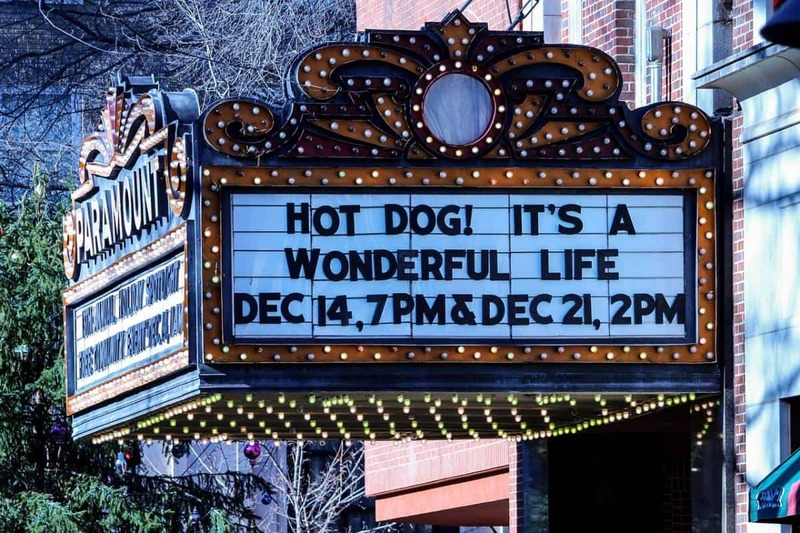 The modern world can feel so rushed at times, so take some time to slow down and get in the holiday spirit! Another great idea for getting inspired to decorate the house is to invite friends or family over, and make an event out of it. Serve hot chocolate or Celestial Seasoning’s Sugar Plumb tea, and play Tchaikovsky’s Nutcracker soundtrack on full blast through your stereo system. Vintage items are, by definition, used. They might be a bit faded, worn out, and well-loved. 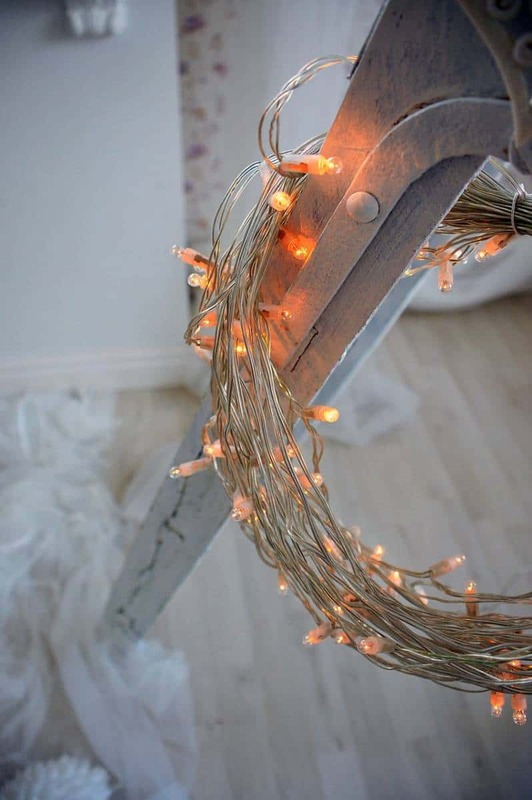 Brighten up old items with bright and shiny lights. LED lights are energy efficient, and come in an amazing range of sizes and colors. You could add little white lights to that toboggan from the 60’s that you have stashed in the garage. Or what about filling antique clear bottles with warm white lights, and placing them in the windowsill? Some lights these days even come with battery-packs, so your decor doesn’t have to be right next to an outlet. 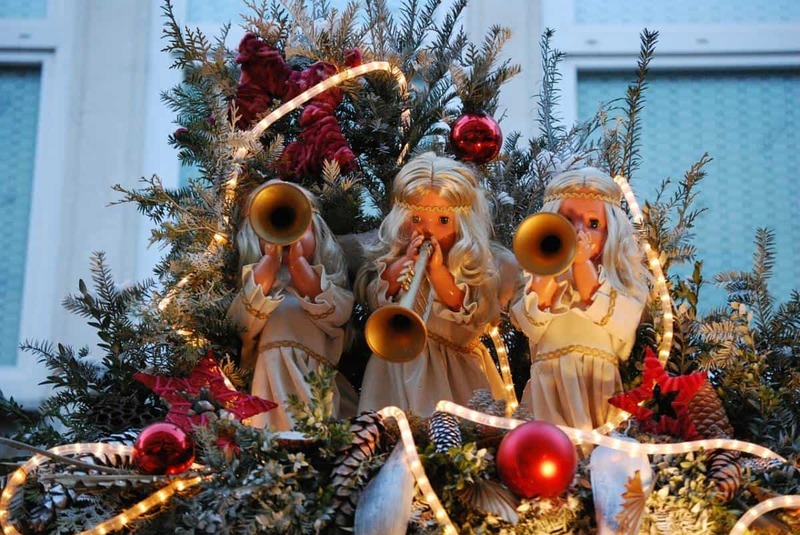 Part of the fun of decorating for the season is dressing up the outside of your house or apartment so that people passing by get a little spritz of joy just by looking at it. Fill an antique wagon with potted evergreens, or take a wooden step ladder and place the letters for the word “NOEL” on each step. If you don’t have a front porch or front yard, think about dressing up your windows. 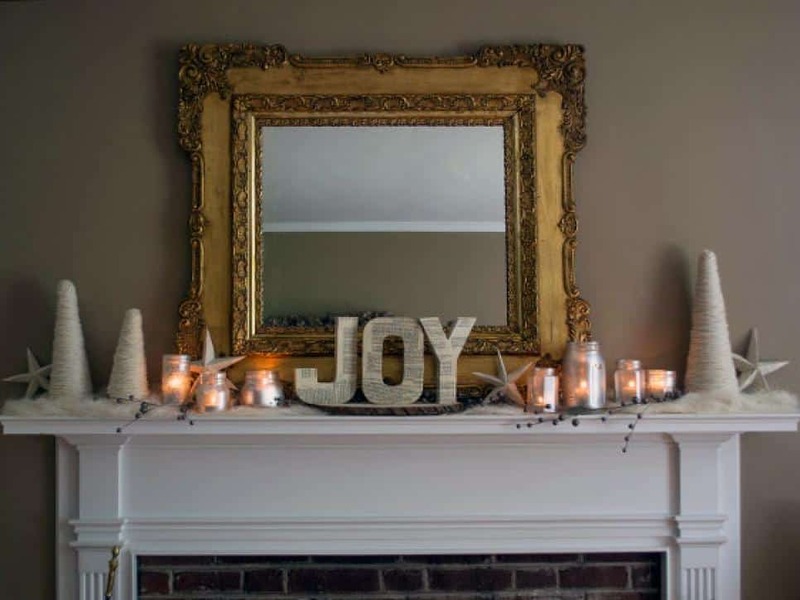 Seasonal decorating is fun because you get to give your home environment a temporary make-over. The winter months can be cold and grey, but with a splash of holiday cheer here and there we can infuse winter with warmth. 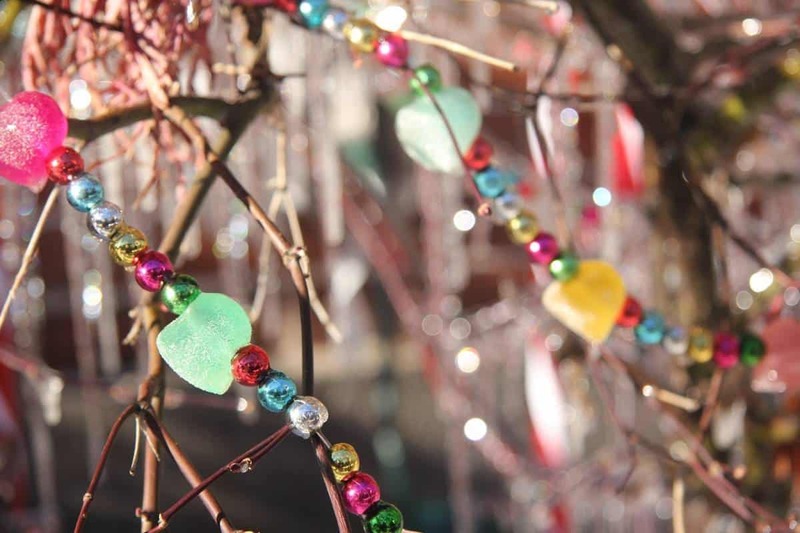 What kind of glittery, bright, LED-light-sprinkled decorations are you plotting?